Today I have the honor of doing my very first interview on the blog! An Immortal man… Sebastian Gaulle is the wealthy, handsome owner of an international company. He is also an Immortal. For five centuries he has sought the one soul who can fulfill his dreams of everlasting love. Then he meets Arielle, whose heart calls out to him like no other. A timeless love… Sebastian has made his choice clear. But jealous Immortals from his past threaten retaliation. They have vowed to destroy any woman who becomes involved with him. In spite of the powerful protection amulet Sebastian gives Arielle, death stalks their newfound love. Their love may be eternal, but they may be running out of time. 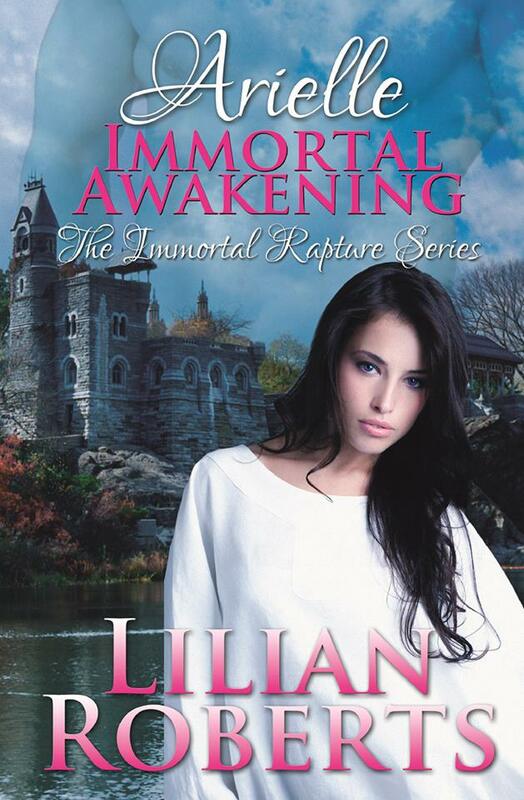 Lilian started out by self-publishing her books, and there are currently four “Immortal Rapture” novels for purchase on Amazon.com . But the even better news is that Lilian recently got a book deal with Booktrope – and in addition to relaunching the current books in the series, they will also be publishing the next four still to come! So today I’m looking forward to sitting down and “talking” with Lilian about her passion for writing, her new book deal, and what we’ll be seeing from her in the future. Check out the interview below for all the details and to find out her biggest piece of advice for fellow writers out there. 1. Where did you get the idea for the “Immortal Rapture” series? It was during my second year in college that I had the strong desire to write something about immortality. I was part of a group that was involved in biological engineering. We were extremely curious about what life would be in a timeless state. 2. What interests you the most about the genre of Paranormal Romance? How did you decide to write for the genre? The idea of a living indefinitely was quite intriguing. The fact that I fell deeply in love with my husband changed the idea from intriguing to passionate. I thought daily of being able to be with him for eternity, and I really became utterly infatuated by it. I decided then and there that even if we did not have the ability to live forever, I was going to make it happen on paper. That is when I started writing, and my emotions ran wild. Instead of a book I ended up with a whole series. 3. What drew you to writing in the first place? How long have you been doing it? I started to write when I was a young woman but never thought of publishing a single manuscript in my closet. I had to put writing aside because of marriage, a child, and a demanding career. I went back to writing 10 years ago. 4. What is the biggest challenge you have faced during the writing process so far? I would say it is a three-way tie. My first challenge was to create the characters first and then build the story around them. The second item was a choice I had to make about whom I was going to introduce as human and who as an immortal. And the third was how to intertwine their lives to make it exciting and draw into the plot the most important component to a book: the reader. I wanted them to fall in love with each character just as I have. I knew they would never love each one of the characters as much as I do, but that is something I can accept. This series is a dream come true—My dream. 5. What is the biggest challenge you feel an author faces these days? The biggest challenge is handling rejection. I know that my series may not be everyone’s cup of tea, but I always look for the reader to review my books keeping in mind that it is only their personal view. I have been luck overall with reviews but even one that is unfavorable hurts. I think that is the reason that kept me from wanting to publish the series. I was afraid of the reader’s reaction. It took a lot of pushing from family and friends that believe in me to put my thoughts out in the open for everyone to see. 6. What kind process did you go through when trying to secure a book deal, and how did you find Booktrope? It’s actually a unique situation. My goal was always to get a book deal, if possible, but I was working with my publicist to first make the series popular enough to hopefully attract the attention of a publisher. My publicist also happens to be an author. She mentioned my series to someone at her publishing house, at Booktrope, and he loved the idea. Next thing I knew, I was talking to the Community Manager and Chief Marketing Office about the Immortal Rapture books. And then, they offered me a deal, and I gladly accepted. 7. You were a self-published author before getting your book deal, is that correct? How has the book deal changed the process of writing and publishing, for you? What’s the biggest difference between being a self-published author and an author with a book deal? Yes, I was a self-published author before Booktrope offered me a book deal. My writing process has not changed at all, but the publishing has. Booktrope handles all the aspects of publishing; I’m not involved with that any longer. I find that the biggest difference between being a self-published author and an author that has a book deal is the fact that the author does not have to worry about finding a good editor, a proofreader, a designer, or a marketing manager. That is all offered to you. You also know that your manuscript will go through careful screening before it reaches the readers. That alone gives the author a wonderful feeling. 8. What has been the best experience for you, so far, since getting the book deal and working with Booktrope? The best experience was receiving the contract and signing it. 9. What advice do you have for fellow writers who are currently waiting for a book deal/waiting to get their books published? Personally I believe that authors need a publicist and/or an agent that will work for him or her and help them promote their work. It is hard to do it alone, but the right person will help them find a good publisher that will treat them right. I have found that in Booktrope. 10. I know you have several other “Immortal Rapture” books that are set to be re-launched with Booktrope as well, and even a few set to be launched for the first time – what can we expect to see from you in the future? There are four more books in the series and although I don’t know yet when they’ll be out, people can certainly expect them in the near future. Anyways, I had a ton of fun doing this first interview, and not only that – but as a self-published author I feel like I even learned a few things! I hope you did too, and I’m looking forward to having even more great interviews and information for you all in the future!